Julmarknad in Swedish, Weihnachtsmarkt in German, Marché de Noël in French, and Jarmark Bożonarodzeniowy in Polish (yeah, that one’s a mouthful). And I LOVE Christmas Markets. When living in Sweden, I made it my mission to visit as many Christmas Markets across the continent as possible. I just couldn’t get enough of their festive atmospheres, mulled wine, and sweet treats. (Just so you know: the giant sugar-coated pretzels sold at Colmar, France’s Christmas Market are unreal). While going on these Advent Adventures, I quickly realized just how many people share my obsession with these annual holiday events. 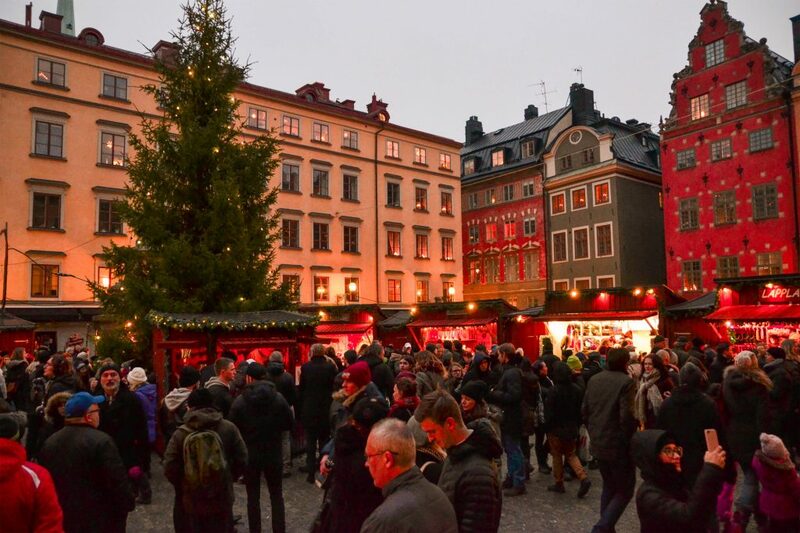 After hitting up a multitude of markets in Sweden, Germany, France, and Switzerland, I picked up a handful of tricks for making trips to Christmas Markets as epic as possible. 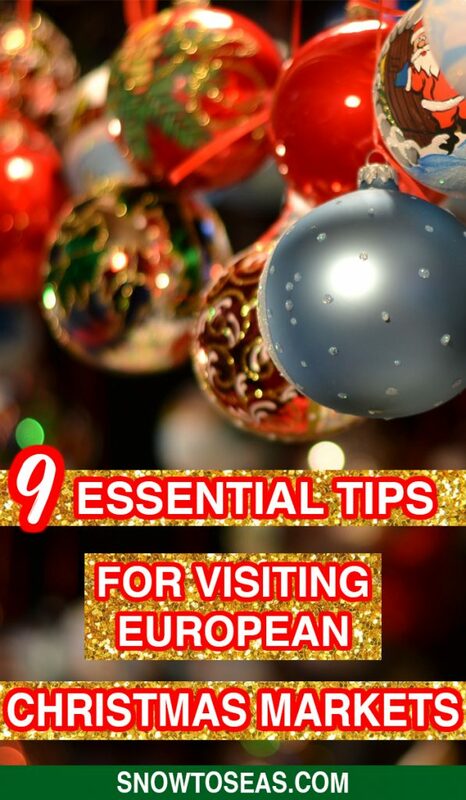 Here are 9 super helpful tips for getting the most out of a European Christmas Market experience. 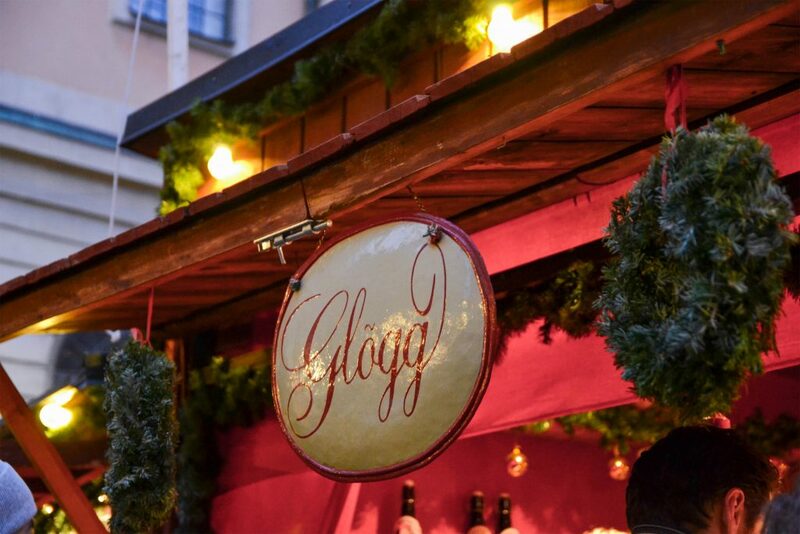 Most European Christmas markets consist of temporary, wooden stalls standing closely together. If you want to buy any food, drinks, or trinkets, (and trust me, you’ll want to), cash is typically the only accepted form of payment. 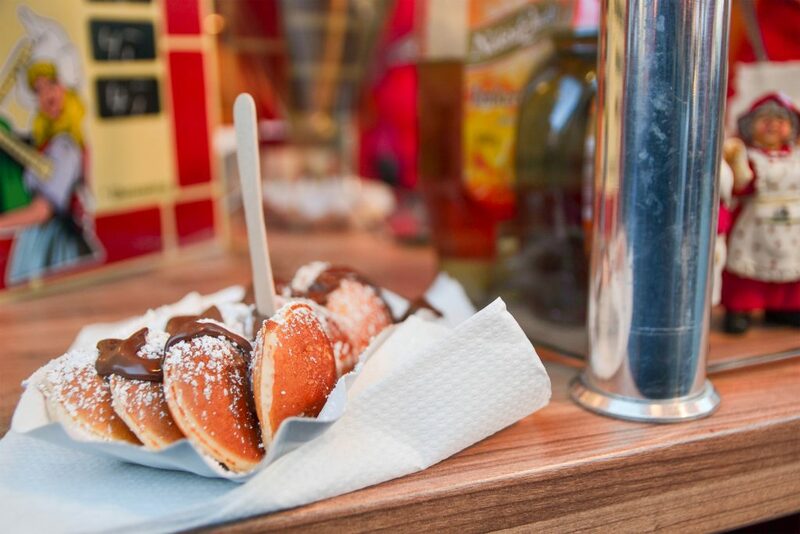 Delicious poffertjes from Düsseldorf’s Weihnachtsmarkt. Glitterning ornaments for sale in Stockholm, Sweden. As well, when it comes getting mulled wine, a Christmas Market staple, it’s usually served in ceramic mugs. On top of paying for the wine, you also have to put down a deposit for the mug. (You get the deposit back after returning the mug). Mug deposits can range anywhere from 3 to 10 Euros. SIDE NOTE: since most glühwein mugs at Christmas Markets are decorated with the name of the market, I would frequently forfeit my deposits and keep the mugs as souvenirs. 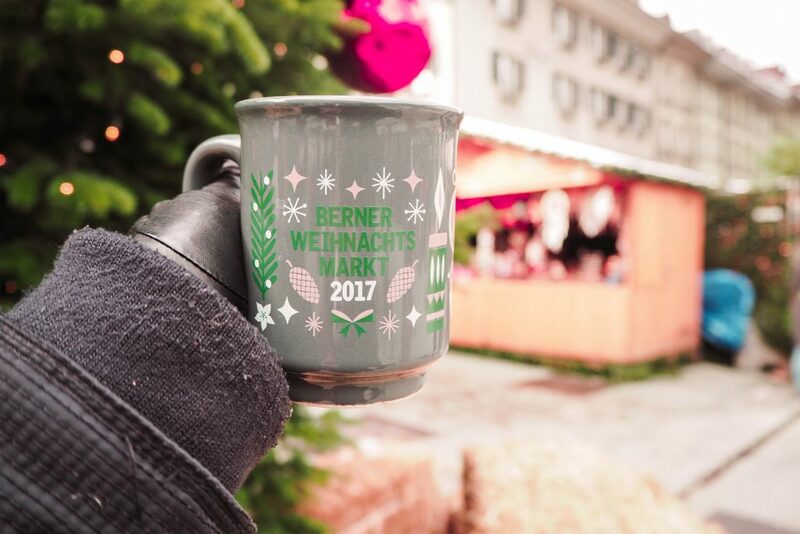 Bern’s super cute 2017 Christmas Market mug. For all European countries, November and December are some of the darkest months of the year. The further north you go, the less daylight you get. Just as an example, Stockholm in December only gets about 6 hours of daylight per day. 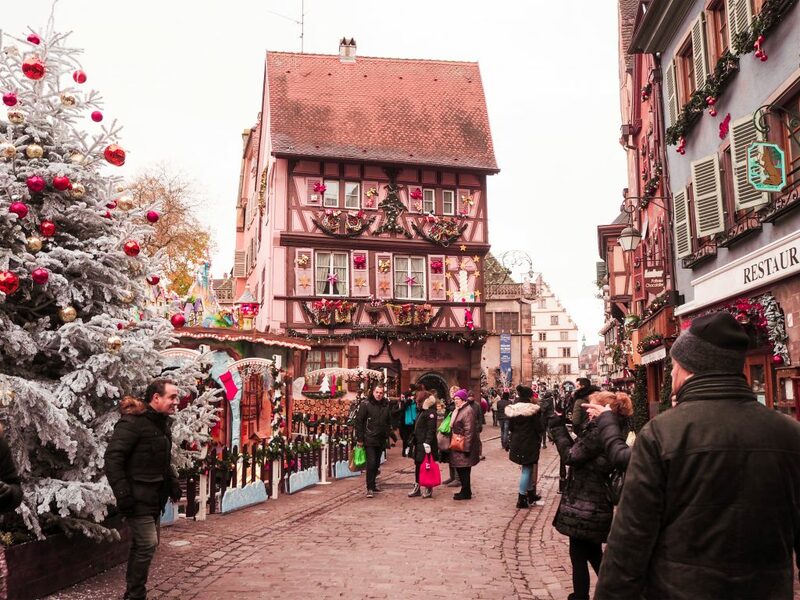 Strasbourg, France, which is famous for its Christmas Market, gets just over 8. Dusk settling in at Stockholm’s Julmarknad. It wasn’t even 3:00 pm. Depending on how many markets you would like to see and if you’re combining market visits with sightseeing, it’s useful to remember how short the days can be. 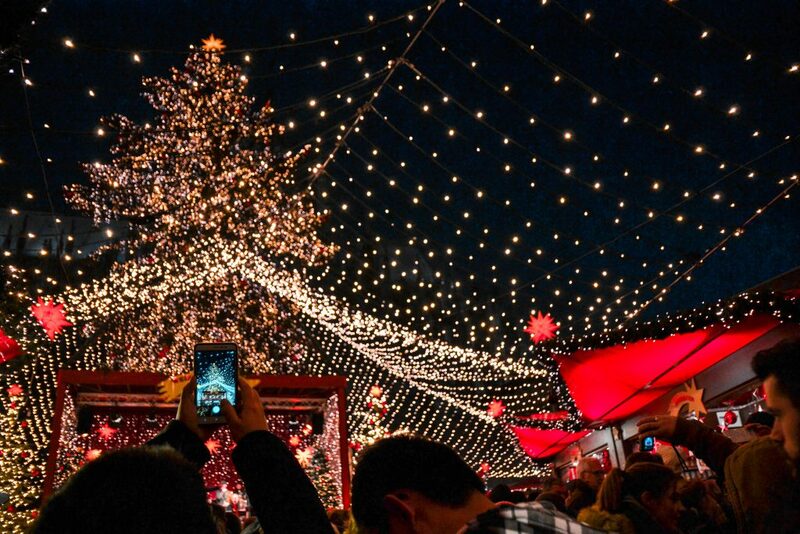 TIP: Many Christmas Markets stay open late and look pretty magical when they’re all lit up at night. If you happen to have a lot on your “must see and do” list in a particular city, get your sightseeing done during the day and hit up the markets after dark. Cologne, Germany’s Christmas Markets at night are simply stunning. 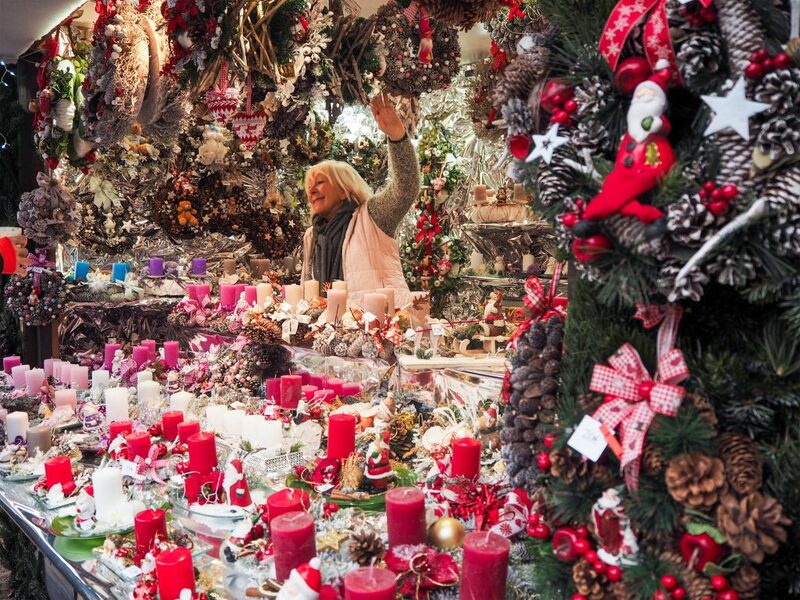 It’s a fact: thousands upon thousands of people are wholeheartedly in love with Christmas Markets. This means that Christmas Markets can get pretty crowded – the packed like sardines, I can’t move and possibly can’t breath kind of crowded. If you want to avoid crazy crowding, I recommend popping by Christmas Markets just before they open for the day, especially for markets held in old towns with narrow streets. You’ll have the unique opportunity to see vendors setting up their stalls for the day too. 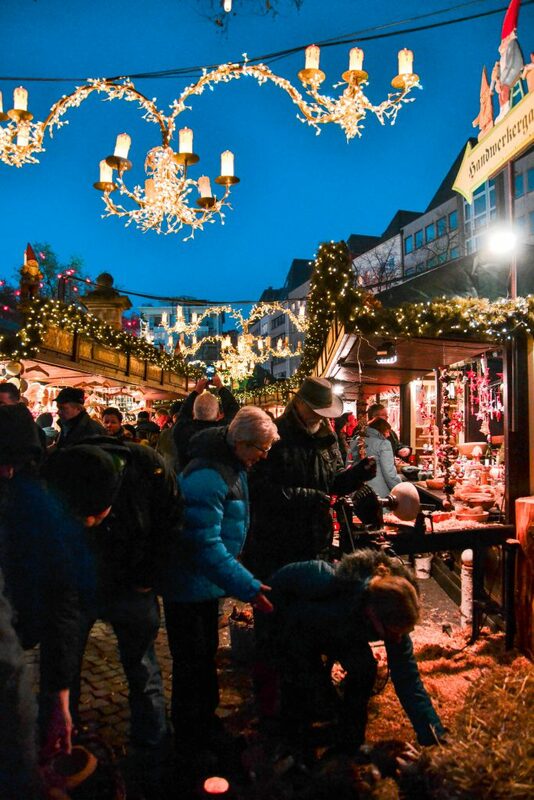 Some Christmas Markets also open midway through November. If you can, plan some market visits before advent comes into full swing because crowds aren’t typically as wild in November. The craziest markets I ever experienced were Cologne’s Cathedral Christmas Market and Aachen’s Old Town Christmas Market, but I did choose to visit these two on a weekend well into December. A glimpse of Düsseldorf’s main Christmas Market just 20 minutes after opening. Christmas Markets are held outdoors and visiting markets involves spending a lot of time in the wintry cold. (I actually haven’t ever stumbled upon an indoor Christmas Market). To make sure you enjoy your market experience to the fullest, layer up and dress warm. Don’t skip out on accessories like hats, gloves, scarves, and extra warm socks. I, for one, know I get pretty cranky when I’m cold. And if extra clothes and layers aren’t enough, you can warm yourself up with some mulled wine (AKA glögg, glühwein, or vin chaud). If you’re working the traditional 9-5, this one can be tough. Out of the 3.5 years I lived abroad, it only worked out for me once. 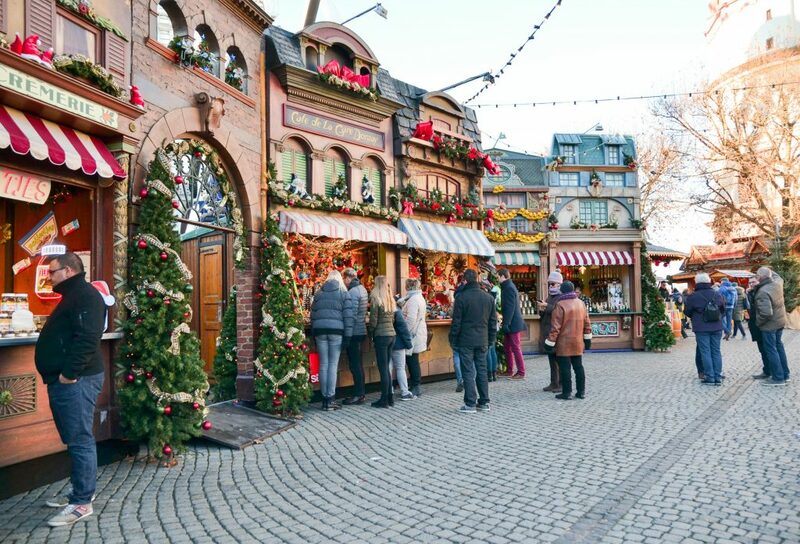 But if you get the chance, opt for visiting Christmas Markets on weekdays instead of weekends. The crowds are a lot more manageable and sometimes, nonexistent. 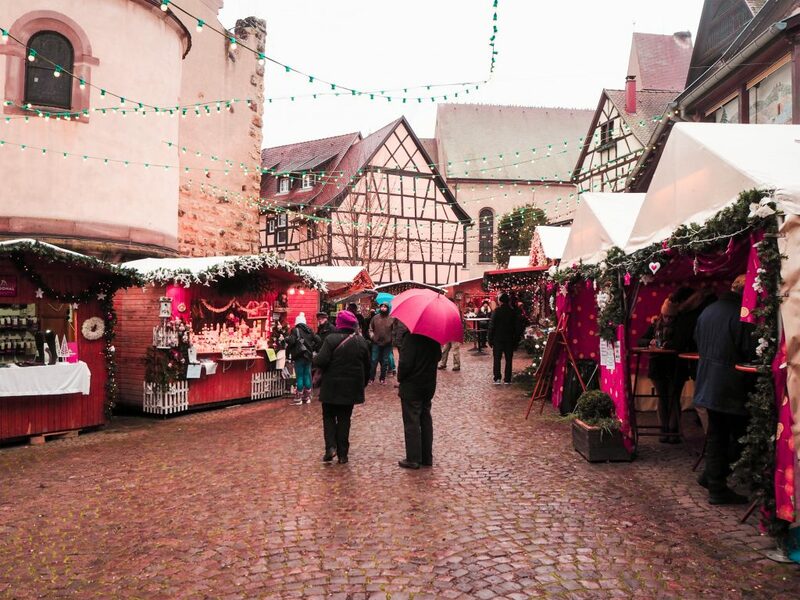 Colmar, France’s incredible markets weren’t too wild on a Monday afternoon. Not all markets around Europe open up on the same dates. Some may be ready to go halfway through November. Others may only start in December, and a whole bunch more may only run on weekends until a certain point in the Advent Season. Before committing to a specific market, make sure to double check its dates and hours of operation. When researching some of the top Christmas Markets in Europe, the names of a lot of major cities, such as Strasbourg, Vienna, and Prague, will pop up. But it’s useful to keep in mind that a lot smaller towns host some pretty charming markets too. They also tend to be less busy. While visiting Colmar, I hopped over to tiny, medieval Eguisheim and was thoroughly impressed by the fairytale village and its picture perfect market. 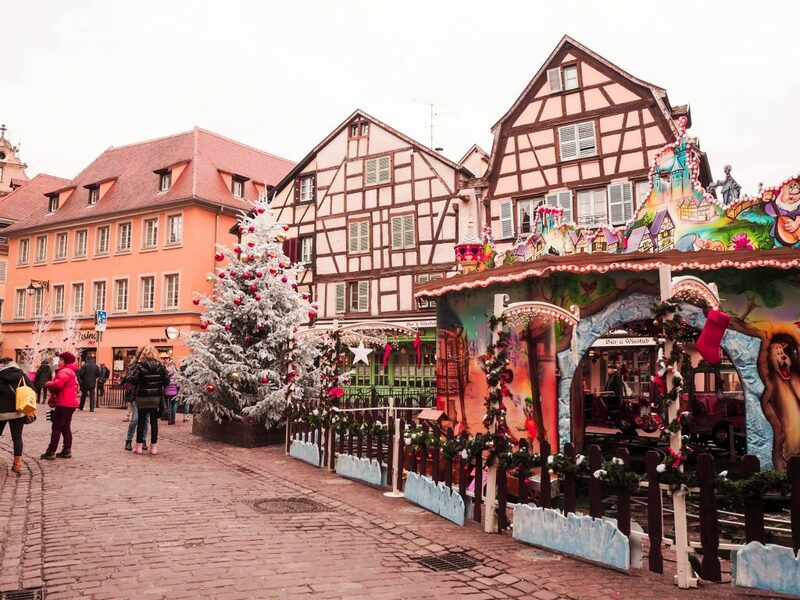 Mesmerized by a festive Eguisheim, France. 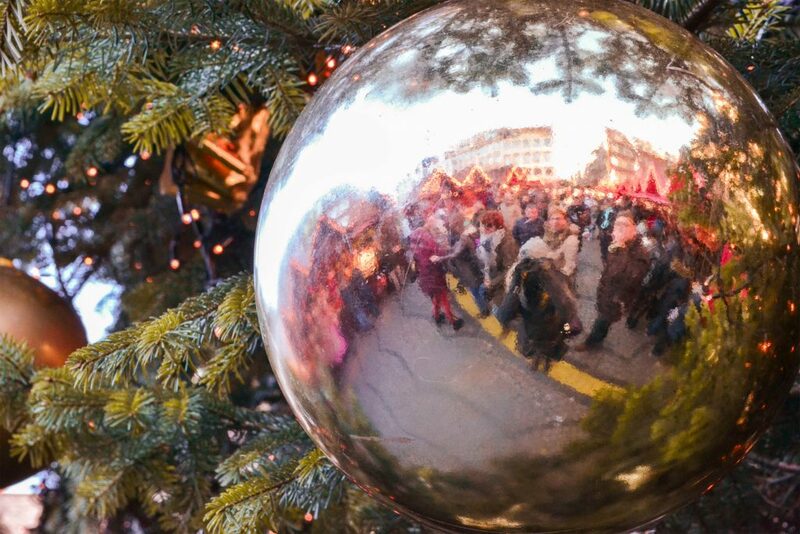 Practically every European city holds an annual Christmas Market. And the glorious thing about European cities is they don’t tend to be too far apart from one another. Just as an example, a train trip from Dusseldorf to Cologne takes less than 30 minutes. A ride from Basel to Colmar takes around 45 to 60 minutes. To go full out on your Advent Adventure and get your fill of holiday cheer, I recommend visiting multiple markets in one trip. While in Dusseldorf, I also hit up Cologne and Aachen. 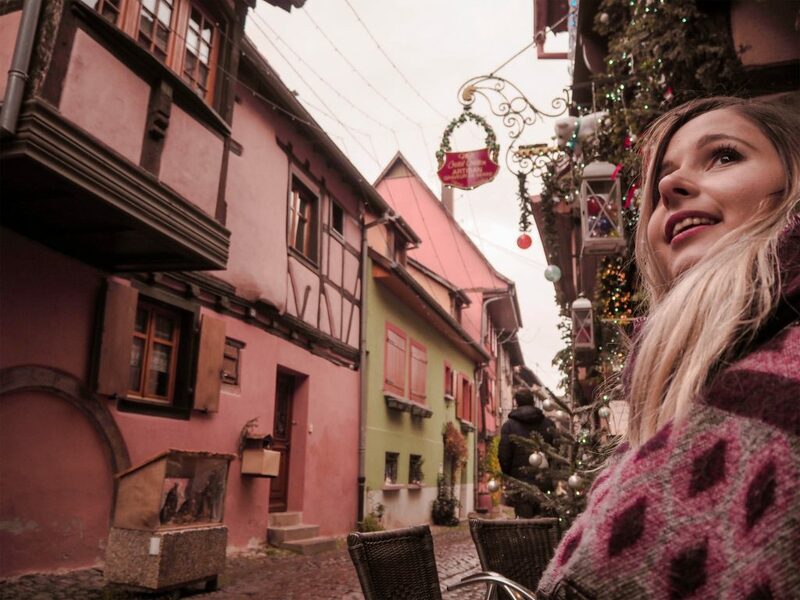 When in Basel, I visited Bern’s, Colmar’s, and Eguisheim’s Christmas Markets too. A dazzling corner of Düsseldorf’s Old Town Weihnachtsmarkt. National rail companies actually encourage visiting multiple markets. Just check out Tip 9 below! When it comes to saving money, I’ve saved the best budget travel tip for last. Every year, different railway companies offer discounted seasonal fares for travellers interested in visiting Christmas Markets. It’s possible to get round trip fares up to 50% off. To check out Switzerland’s Christmas Market train fare discounts, visit SBB’s Christmas Market page by clicking here. It’s also worth checking for local deals on site at SBB ticket counters. I was able to get 30% off my fare from Basel to Colmar and back when I purchased my ticket at Basel’s main train station, but the discount wasn’t listed online. As well, when checking out special fares, make sure to expand “Offer” tab on the right hand side of the page (see pic below). This will let you know how and where you can get the deal. You can also take a look at Christmas Market seasonal fares with Deutsche Bahn here and other fare options with NS International here. Festive trinkets and decorations for sale in Colmar. 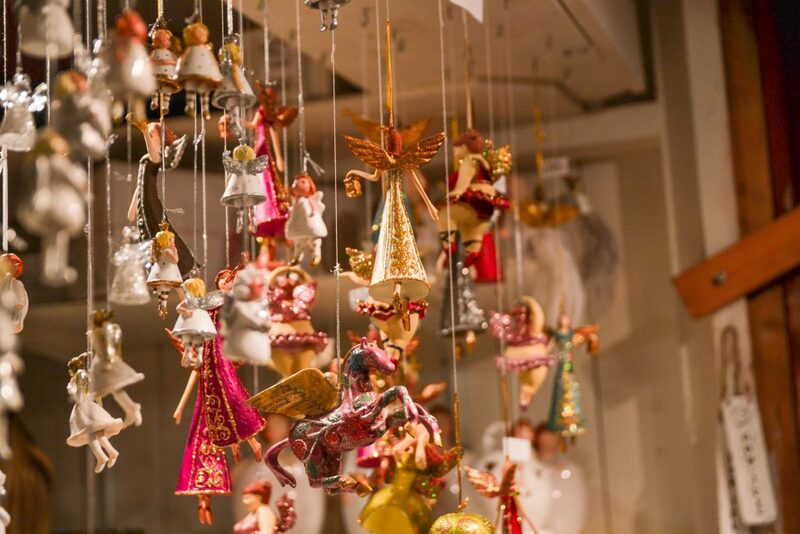 Have you been to a Christmas Market? Do you have any favourites? Share your thoughts and experiences in the comments section below! As if Colmar could look any more magical than it usually does!! These are fantastic tips. It’s always easy to forget how early it gets dark at the moment.